But the really interesting part is that spraying people with bug spray is only part of the cleansing method. Rabalago claims to have the power to control demons, which he commands to enter the body of the sufferer. He then speaks to the demons, telling them to deal with the health problems of his congregates (be it cancer, HIV, or virtually any other condition), before using the insect repellent to drive out the demon, leaving the person in perfect health. To his credit, Rabalogo said that it’s not him performing these feats, but God. During the interview with enca, the South-African pastor said that it’s not the bug spray doing the healing, but a divine power, adding that he could use anything from water to oil with the same effect. Asked why he doesn’t just use water or oil instead of a hazardous chemical products, Rabalago said that it was because – you guessed it – God told him to use Doom. Interestingly, this is not the first time we’ve covered the “holy” work of Pastor Lethebo Rabalago. In August, we posted a story about a young woman who died after Rabalago made her lie down and placed a giant speaker on her body before climbing on top of it. He was trying to show the congregation that if Jesus could walk on water, he too could perform incredible miracles. It was only after removing the speaker and asking the woman to rise that he realized she had become unconscious. She later died due to internal bleeding. If he managed to stay out of jail and keep preaching his nonsense after that first incident, I imagine this bug spray controversy won’t affect him at all. I have a feeling that we’ll be hearing about this guy again soon. On November 29, 2016, a witness has caught a photo of a strange light in the sky over London, in United Kingdom. He has sent an incredible photo on MUFON website. What is it? Two weird wheels found on Mars! Recently, an ufologist has found two extraordinary wheels by watching photos caught by NASA on Mars. These artefacts are clearly visible and it's difficult to doubt about this proof. “A remarkable image photographed by mars curiosity rover, appears to show a wheel and axel on the surface of the red planet. As we zoom in, we can clearly see two circular objects in parallel, very similar in design to a wheel and axel. 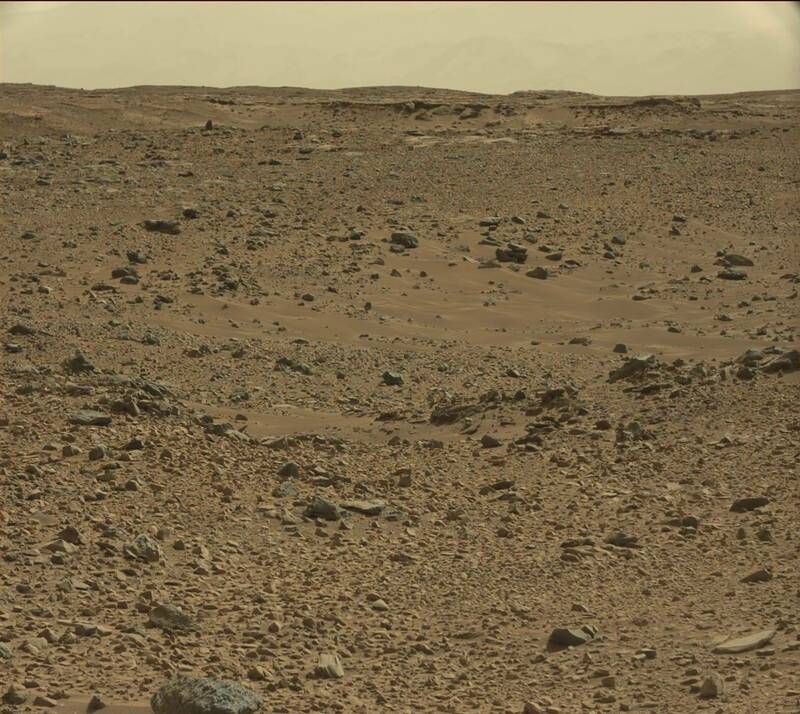 The object, clearly looks out of place in the martian landscape, and is clearly recognizable among the rocks. On June 25, 2015, an inhabitant of Bagillt (in Wales) was walking down the streets when a very large glowing UFO is appeared in the night sky. He caught a picture in low quality. Luckily, the object is clearly visible. On September 13, 2016, a man and his girlfriend was walking down the street of Rzeszów (in southeastern Poland) when they saw a silver UFO in the sky. On May 1st, 1992, a young child saw a huge mechanical UFO flying over the Elmendorf Air Force Base, near Anchorage, in Alaska, USA. “This is pretty vague so I'm sorry. I was outside playing at a park with a girl Thatnliced next door to me. We both saw something in the sky I'd guess about 100 feet to 300 feet above us floating with a hum. In one direction. The only way I can describe it is long and like 300 feet In length and had a strange mechanical look to it like bumps and ridges, think like a black circuit board, or kinda like those Borg ships on star treck, just the exterior texture. After we moved and left Alaska we then visited and I spoke with that girl and asked if she remembered it happening and she did. We tried to follow it on our bikes at the time but it was way to fast and almost seemed like it gained speed the further it got from us. I'm in my 30s now... never forgot it and always thought I should share this story. I don't know why. It's odd, I always had a strange fascination with UFOs and aliens as a child and still do. On November 25, 2016, a man was walking on the roads in the Country of Leiteim (in northern Ireland) when, suddenly, he saw some mysterious bright lights flying over a field. A few moments later, they disappeared. One night of August 11, 2014, an inhabitant of Massillon (Ohio) stated that he was abducted by grey aliens. He realized two drawings. He sent them on MUFON website. “I'm going to say I did not believe in alien abduction before this happened. I know it wasnt a dream. I was at home. Laying in my bed writing a song. I was really depressed and didn't know why I was still alive what was my purpose. I wasn't tired or anything but I guess I must have fell asleep or something because the next thing I know Im laying on a bed. It was hard and felt like metal under my body. I was naked. I could only turn my head a little looking around I see beings gray but not short they were tall Id say around 6ft. They had eyes the shape of almonds. They had no clothing on. they didnt walk they moved so smoothly. I started to panic because 3 of them started towards me. All of the sudden I get this voice in my head to turn my head to the right. as im turning my head above me are these tubes the werent hard but like rubber that wiggled. As i finished turning my head standing beside me was this tall being. His head was gray he had almond shaped eyes but his body was like liquid universe. he told me not to be afraid, but he didnt speak it. It was like he was in my head speaking. all of the sudden i get this sharp burning pain in my left ankle. I tried to moved i tried to do something but i was being held down by some force or maybe paralyzed. Again this main being came right over me and looked down at me I could feel tears going down my face. In my head I spoke why is this happening. He like smiled but i didnt see the smile I felt it. He told me that I needed to tell them something. I cant remember what Im suppose to tell and I dont know who Im suppose to tell it to. After that my head snapped to where I was looking up at these hanging tubes. One of them started to slowly come down towards me. As it got to my right eye it went from limp and soft to hard and it had a point like a needle. As the needle type tube was about to enter my right eye the main being put his hand on my forehead. The next thing I know I wake up and Im looking out into space. Im in a smaller ufo looking at the main UfO. But it was all hazy like I was drugged. The windows on the big cigar shaped UFO looked like swirling water. The next thing I know Im laying back in my bed two hours later. My left ankle felt like it was on fire i put my hand down there and felt a mark. it was diamond shaped. It looked like it had already started healing as a scar. For the next week I had a hard time walking on that foot. It felt like something was burning inside my ankle. On August 10, 1631, some Jesuits messionaries have seen a strange glowing unidentified flying object over San Ignacio de Ipané, in Chile. What is it? “1. I was at my backyard observing the creation of trans dimensional entity. 2. I noticed something hovering above. 3. I knew it that is something strange, I ran into my house and grabbed binocular and camera ( Canon 450 D with 55-200 lens). 4. This object actually created itself. It looked like shape shifting trans dimensional entity, made from light and gas or some unknown material that shape it self in different forms. This process of creation or shape shifting lasted for an hour or so. And then transformed itself into perfect orb/portal. After approximately half an hour another object is coming and hovering close to the orb/portal and after ten minutes approximately, just vanished into this orb/portal. The orb/portal hovered for some time and start moving zig-zag and suddenly descended in unknown speed. 5. I realized that our realm is not the only one. I witnessed something that defy many aspects of my fundamental questions about the life, time and space travel, and of course ourselves as humans and them as "visitors". 6. It descended in unknown speed. On November 23, 2016, a witness has explained he have seen two incredible UFO somewhere in India. He has sent a photo on the MUFON website. On October 27, 2016, during sunset, a witness was in office in Midland (Texas, USA) when he photographed a glowing green UFO in the sky. He didn't see it. What is it? “-I was in office that has window facing west. -I took a photo with Samsung cell phone of sunset; did not see anything unusual at the time of photo, neither did coworker. -Reviewed photo approximately three days later, noticed the green sphere towards top of photo. -A clipped portion of photo of only said green object also attached. Also, anonymity will be removed once my military status changes. On August 21, 2013, a man was in the wilderness in Ponta Delgada (in the region of the Azores, Portugal). During this trip, he has photographed a UFO but he didn't see it to the naked eye. On November 23, 2016, a witness has spotted a glowing boomerang-shaped UFO flying in the night sky over the city of Dholpur, in eastern of Rajasthan, India. On November 22, 2016, an unidentified flying object has been filmed by a webcam placed in a ski resort in Winter Park, Colorado. What is it? On October 21, 2015, a witness photographed a strange UFO looking like a perfect small cloud, in the area of Sedona, Arizona. What is it? On October 18, 2016, a father and his son were walking near Fillmore (California) in the wild. During this trip, they caught a weird and glowing orb like UFO. This object was yellow and probably not visible to the naked eye. “My son and I went for a drive on a rough, little-traveled mountain road into the condor sanctuary near Fillmore on Oct. 18, 2016. We stopped to take some photos of the sunset. Neither of us is sure whether we noticed the glowing object at the time. I recall that on our way home, he mentioned that he had seen a light in the distance, which he assumed to be a parked car. His photo does include some car lights on a distant highway, but it's unlikely they would have appeared stationary or that he would have remarked on them. When I noticed the object in my photos, I found it curious and joked that I had photographed a UFO, but I assumed it had a mundane explanation. Several days later, my son showed me his own photo of the object. When he zoomed in, we saw what appear to be distinct lights on its surface. When I zoomed in on my own shots, I could see the lights, but less clearly. “I never actually saw the objects. I took a picture and noticed the objects hours later. My father and I were looking for arrowheads in a cotton field a few miles south of Marianna, Florida. On November 19, 2016, an automobilist was heading for Blaine (in Minnesota, USA) when he has seen an impressive black rectangular-shaped UFO. It moved quickly and changed direction abruptly. It emitted no light. “I was heading north on 35w near Blaine MN at about 4:30 pm and noticed some odd object flying slightly ahead and to the right of my vehicle. At first I thought it was 2 large birds or maybe a bi-plane as I seen 2 objects that seemed to mimic the other object. Almost like 2 black rectangles flying horizontally with a slight distance between them. I then thought this might be a drone but it was getting darker about 4:40 ish and I could not see any lights on this thing. Then above, way above this black object I saw a plane with its lights on flying near cloud height and this object appeared to speed away in its direction very fast and I almost lost sight of it. At this point I knew this was not a drone and was not an aircraft by the lack of lights. The black rectangle stopped flying in the direction of the plane and seemed to resume its path it was taking. This object seemed to head in the same direction as the freeway, and not always staying in a straight line, either that or the freeway veered more and I was not staying in a straight line. Who is assassinating Al-Qaïda officers since 11/9? Since the defeat of Hillary Clinton in the United States elections, several jihadist officers have been assassinated – not only in East Aleppo, but also in Idlib, al-Raqqah, and in Iraq. For the moment, it is not clear whether these murders are the result of inter-gang rivalry, or if the Obama administration is cleaning up the signs of its crimes before the investiture of President Trump. Since 1978, the United States and Saudi Arabia have been recruiting and organising jihadists against the USSR, then against Russia, in violation of Resolution 2625 and the Charter of the United Nations. During the wars in Afghanistan, Yugoslavia, Algeria, Chechnya, Iraq, Libya and Syria, more than 1 million people have been killed by jihadists. On April 9, 2016, a man living in Louisville (in Kentucky) was at home when he has filmed a very fast cigar-shaped UFO crossing the sky. What is it? “1.) Me and "G"(girlfriend) got home around 6:00 a.m, parked in my yard just off the street facing North, decided to stay in the car and watch the sun come up. Watching sunsets and sunrises was like our favorite bond. Fascinated with the sky, i pulled up the Snapchat app on my phone and began making short clips *snapchat only records 1-10sec videos*. For every 20 videos i made, i would save maybe just 1. I wanted that perfect video of the sky. So id keep recording until the 10 seconds was up, and almost immediately delete it and start a new one. This is how i caught it on camera. 2.) In the video, the way it come across the camera, is the same way i saw it with my own eyes. It just came across my vision and i watched it until i couldnt see it no more. 3.) I immediatly thought that it was unusual and assumed it to be unidentified. 4.) Looks like a Angel of Darkness. Solid black. When it first comes in i see what look like wings closing after being flopped. It looks as if its rotating, like how you would twirl a pencil. It looks like its faster than any plane ever. As it makes its way across the camera it drops low, turns and goes into a swirling portal like cloud. On November 10, 2016, at 19:35, a witness and his son have spotted a mysterious fast-moving light in the sky over Colorado Springs. The weirdest thing is that this object was chasing by a helicopter. “My son and I were outside approx 15 minutes ago, and saw a helicopter chasing a light in the sky. The light was moving so fast that it was difficult to discern a shape and therefore unidentifiable as anything other than a fast-moving light. The helicopter climbed and sped up to match altitude and speed of the light. The light disappeared from our view. It seemed that the helicopter lost sight of it as well because it seemed to slow down and fly in what I can only call a "searching manner". Then it too left our view, but we could still hear the helicopter for a few minutes. Some time ago, a little alien skull was found somewhere in a cave in Peru. An ufologist has published a video where appeared this mysterious humanoid. What is it? On November 2016, an ufologist has discovered something of very strange on Mars. By watching photos caught by NASA, he has seen an ancient martian soldier. What is it? On November 15, 2016, an inhabitant of the Chuvashia Republic (in western Russia) has photographed an incredible blue UFO in front of the Sun. What is it? Baba Vanga and the last president of the USA! He filmed a grey alien inside his room!